Bonus: See the Unibet Promotions Page for the latest Promotions and offers. 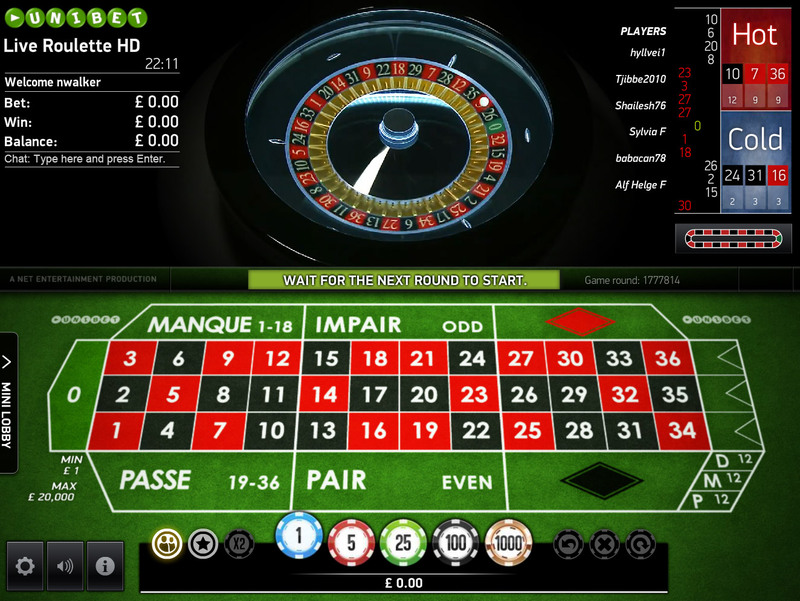 Two good live roulette solutions to choose from. An impressive range of tables with good stake ranges. Betting times are better than average. 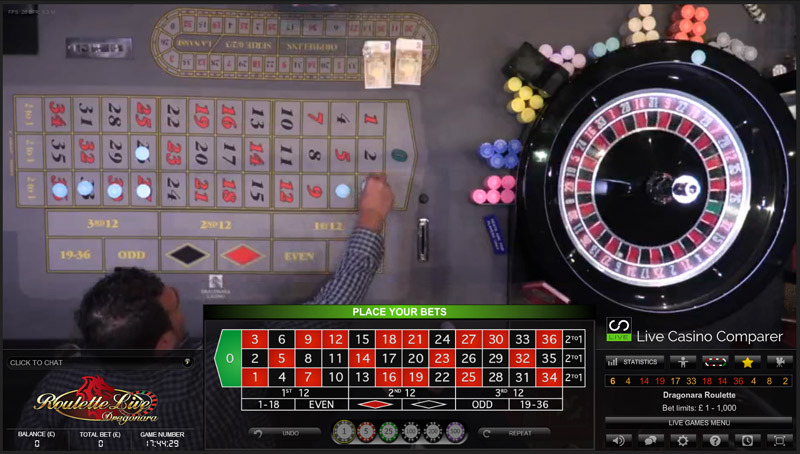 Good Customer support coupled with comprehensive banking solutions and a good rewards scheme for regular players this is a great place to play live roulette. 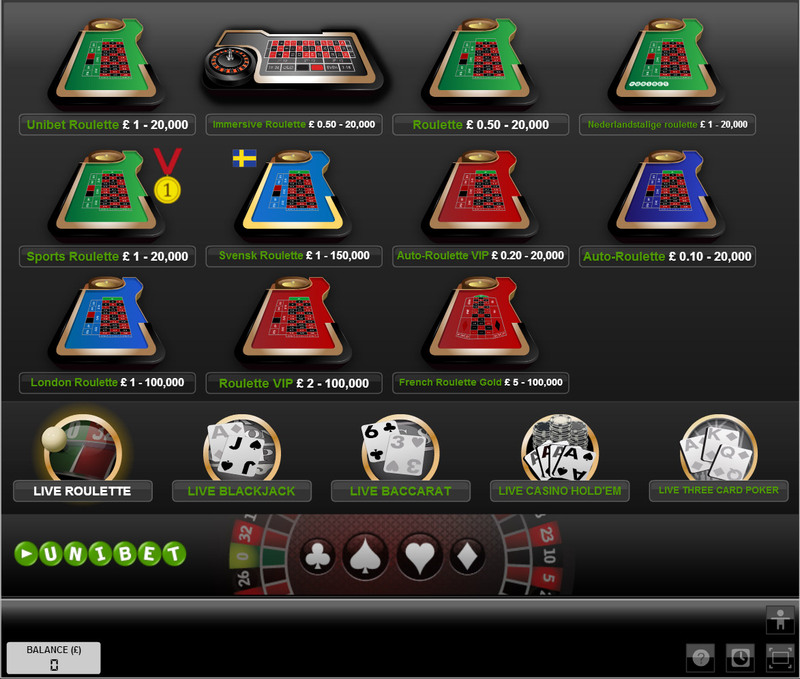 Unibet has two live casinos and both of them offer live roulette. 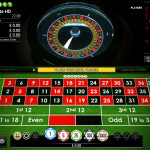 The casinos are powered by different software providers therefore you can expect a different experience at both of them. You will find more detail about the differences a little further down in the article. 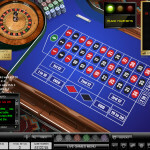 Casino Grande is an Evolution Gaming live casino and this has a traditional feel to it. 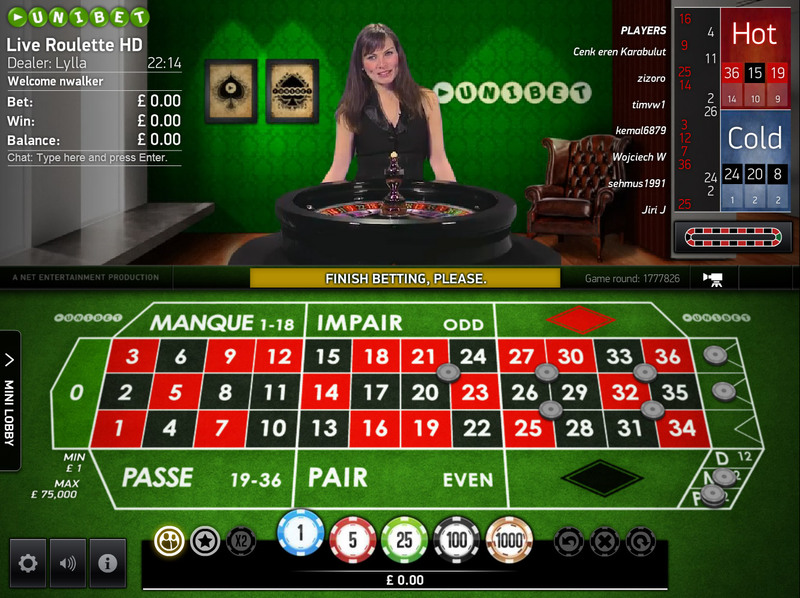 There are loads of live roulette tables, both dedicated and generic, with English, Dutch, French and Swedish speaking dealers. 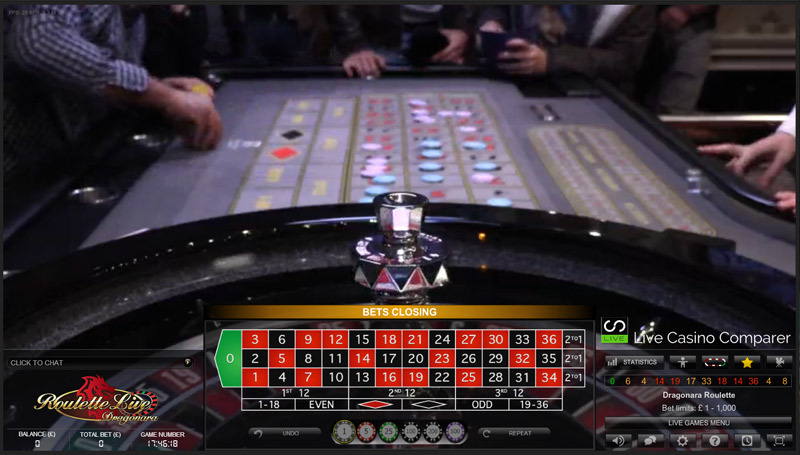 Themed tables, such as London and Sports are also provided along with the impressive Immersive HD table, which is live roulette streamed in High Definition from multiple camera angles. 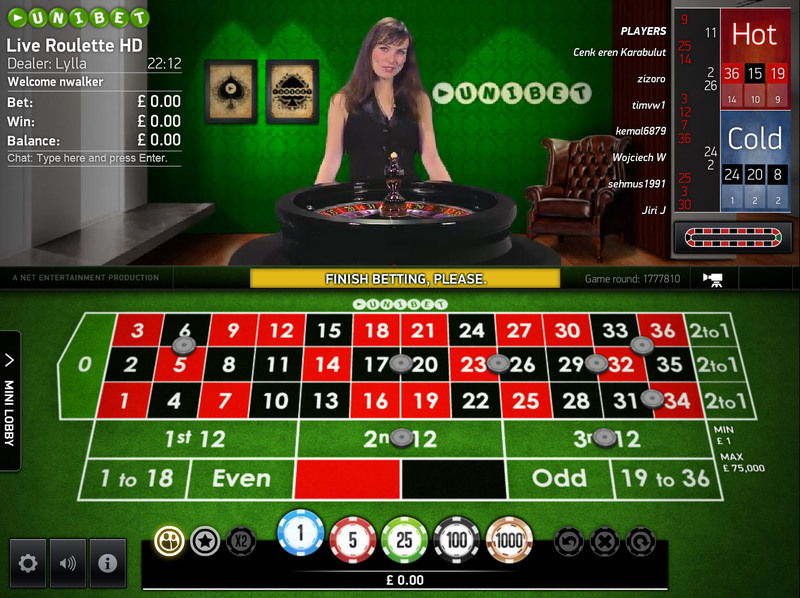 Also recently added is the new Dual Play Roulette table streamed from the Dragonara Casino in Malta. You can play alongside real players in this land based casino. One not to be missed.! Casino Royale on the other hand is provided by Net Entertainment. It has a very modern look and feel to it, has less tables, but offers French table layouts for the purest player. 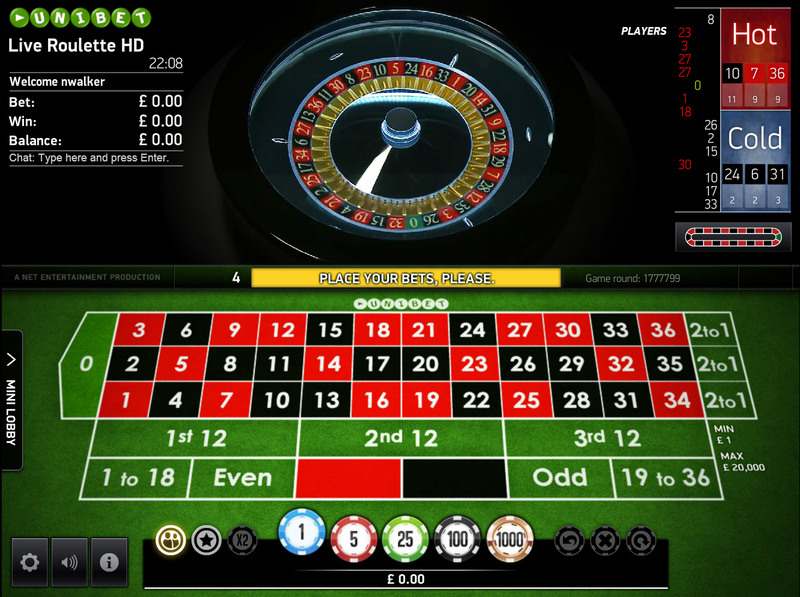 Automatic Roulette tables are provided at both Casinos. Whilst still using a real wheel, a live dealer is not needed as compressed air is used to control the spinning of the wheel. 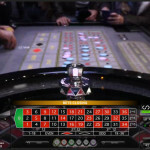 This version of the game is extremely popular and can also be found in land based casinos in the UK and across America. 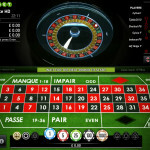 La Partage rule is offered on the French Roulette Gold table at the Casino Grande live casino. If you’d prefer to play La Partage at a Net Entertainment live casino then visit the very good Redbet Live Casino, Casino Red. Both sets of software are very good, I have nothing negative to say about either of the platforms. 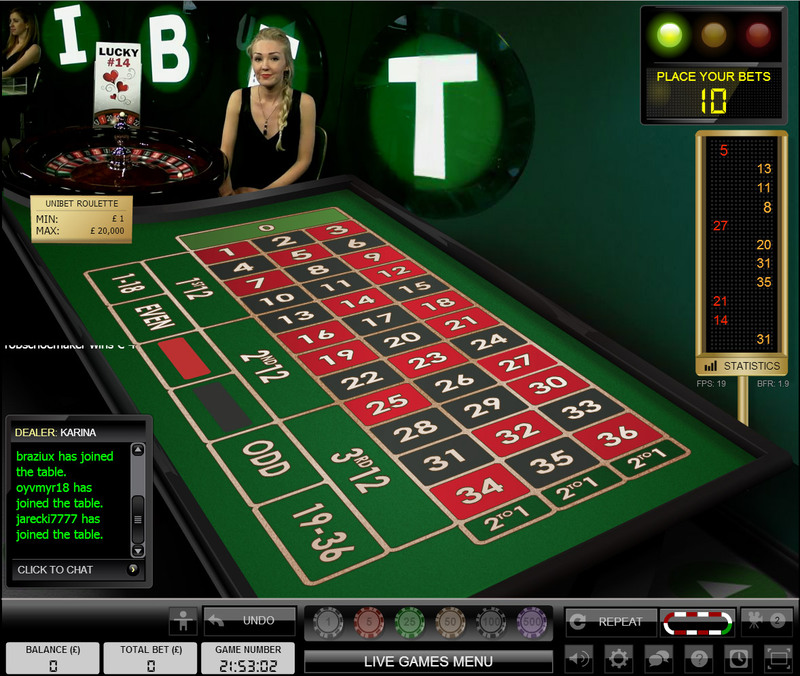 The Net Entertainment software has a more modern feel to it and the playing interface is laid out simply and very well. Buttons are well positioned and of a good size, so it’s not too fiddly to make your choices. My personal favourite is Evolution. The software interface has a traditional feel about it. The layout is simple and straight forward with everything you need being at a click of a well positioned button. 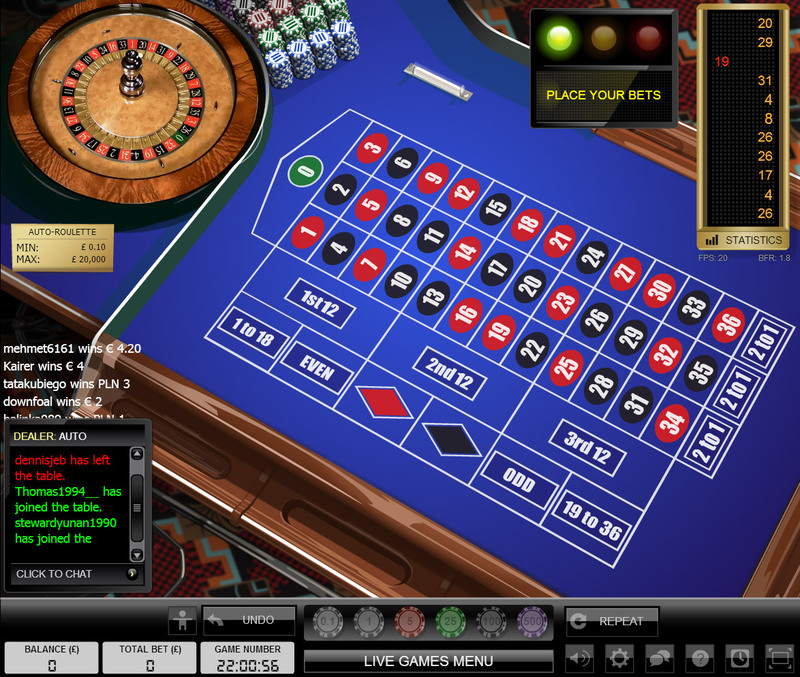 They also offer Multi Table play, where you can play at up to 4 tables simultaneously. The other reason I prefer Evolution is because I love live blackjack and they have very good options for that. The grids below detail the games, stake levels and play options for each of the casinos. 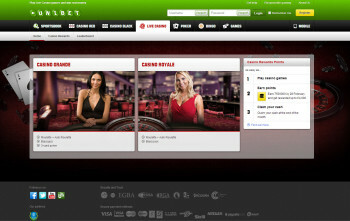 Unibet are a well established and trusted casino and sports book in Europe and are better known outside of the UK. However that is changing due to a major promotional push during 2014. Customer Support is good and is available 24 x 7, via chat, email and traditional telephone. As a player I’m pleased to say that I’ve not had to contact support for any issues. I’ve tested it out to ask questions about deposit options and bonuses and got a very good response from the customer service representative. In common with a lot of the larger casinos I did have to wait a few minutes to get hold of a rep, but I’ve come to expect that as the norm with only a few casinos standing out with an immediate response. These are plentiful as you can see from the list above. I generally use my debit card to deposit and withdraw. No fees are taken, which is a good thing, and the money is normally in my account the next working day which is quicker than the advertised figures on their website. Unibet offers a range of promotions for new and existing players. For the latest offers visit the website where full details are given. There is also a very good rewards program that gives you points, cash and free spins depending on how much you wager. 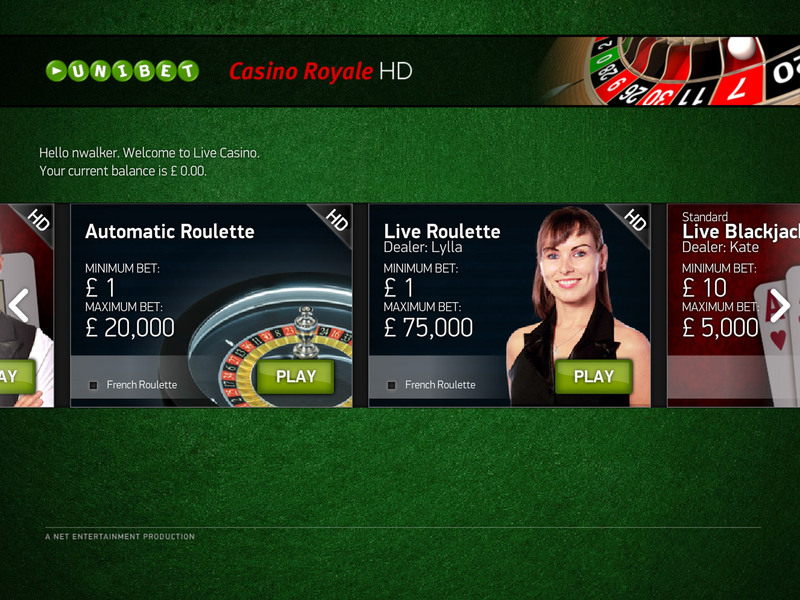 There is an impressive range of live roulette tables across the two Unibet live casinos. Both have good betting limits and you will find the betting time faster at Casino Grande. Customer support is really good once you have contacted a representative. With a comprehensive banking solution and a good rewards scheme for regular players this is a great place to play live roulette. I keep coming back here, so they must be doing something right!